Anyone who does a search on my website for posts about scale models will find a number to read. Covering all kinds of models from cars, to planes, to trains, to furniture. One series provides the details for how I shrunk down full-scale plans for a DIY Adirondack Chair just to the right size that allows a smart phone to lounge in it. It goes without saying that I love all small-scale models and am naturally drawn to them whenever I see them. Other than toy furniture, probably my first exposure to scale-model chairs was a display collection my sister had at her house. I don’t know what kind they were but as expected, they intrigued me the first time that I saw them. 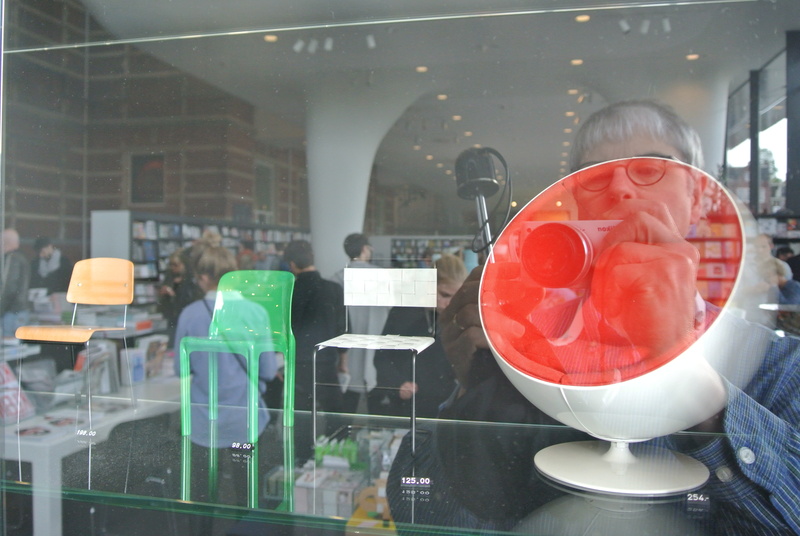 Then, one of the first times that my wife and I visited the Stedelijk Modern Art Museum in Amsterdam, they had a small collection of Vitra Design Museum Miniature Chairs for sale in their gift shop. These obviously caught my immediate attention. However, the price was on what I would consider the expensive side selling in the hundreds of dollars each. One in particular caught my eye though, in spite of its price. In 1999, after we bought our current home, we went to a modern furniture store to find furnishings for our great room. There we found a Barcelona chair. 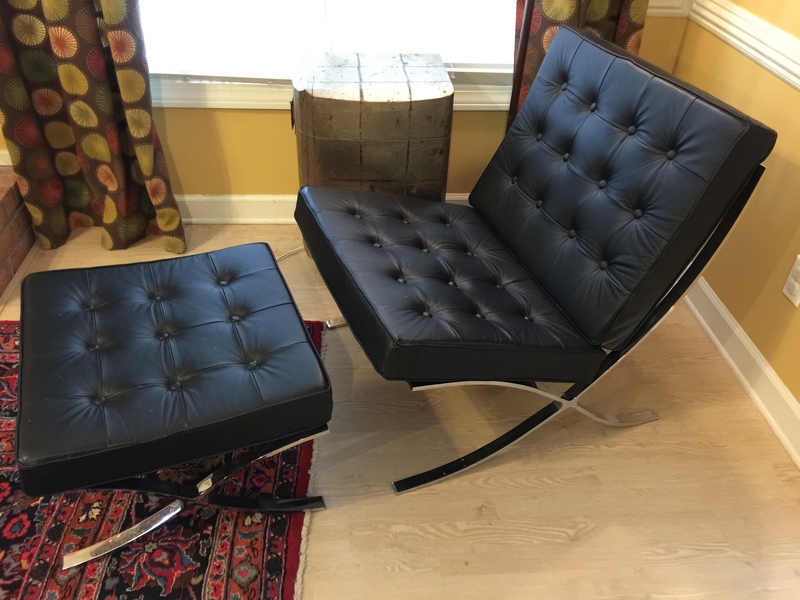 If you are not familiar with this chair, Ludwig Mies van der Rohe and Lilly Reich designed it for the German pavilion at the International Exposition of 1929 in Barcelona, Spain. And, if you pick up any modern architectural magazine, you are likely to see one or more of these chairs pictured in modern home or office spaces. Other than a style name for a chair such as a wingback, we had never owned a chair with a formal name. So I thought it would be really interesting to have a scale model of this famous chair in our great room that could be seen while sitting in the actual chair. But I just couldn’t get over the price. And so I didn’t buy it. But that didn’t mean I stopped thinking about it. Then one year, I was flying to Philadelphia for a conference. When I got off the plane and was walking through the terminal, I ran across a display of what appeared to be every single miniature chair Vitra made. 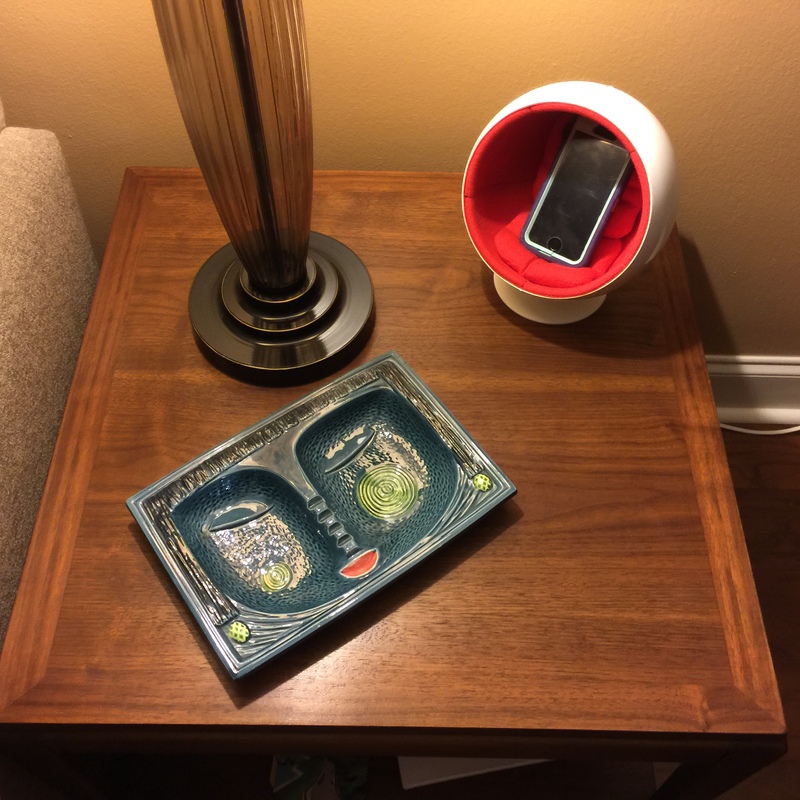 It was a “child-like” moment of delight for me to see all of these and it convinced me no matter what the cost, that I had to have one of these. Not long after my first discovery of that miniature Barcelona chair at the Stedelijk Museum, the museum closed for several years for renovations and so I couldn’t go and ponder over its purchase. But then one year, I found that the furniture department in the Bijenkorf department store in Amsterdam had a small number of the Vitra chairs for sale. So each year on my trip there, I would go to that store to see if they had the Barcelona chair. One year they did but unfortunately by this time the Euro was so strong against the US Dollar that it would have cost me about 30% more to buy it there. I had to let it pass again. But as before, I didn’t forget about it. Fast forward a number years and I discover that the Museum of Modern Art (MOMA) in New York also sold the chairs. I then decided that I would give it to myself for my birthday. It’s price was somewhat out of line with what my wife and I would usually spend for each other on birthday presents so I just asked her to give me a contribution towards it. With this seed money, it was easier for me to rationalize the cost since her gift covered almost half the price. 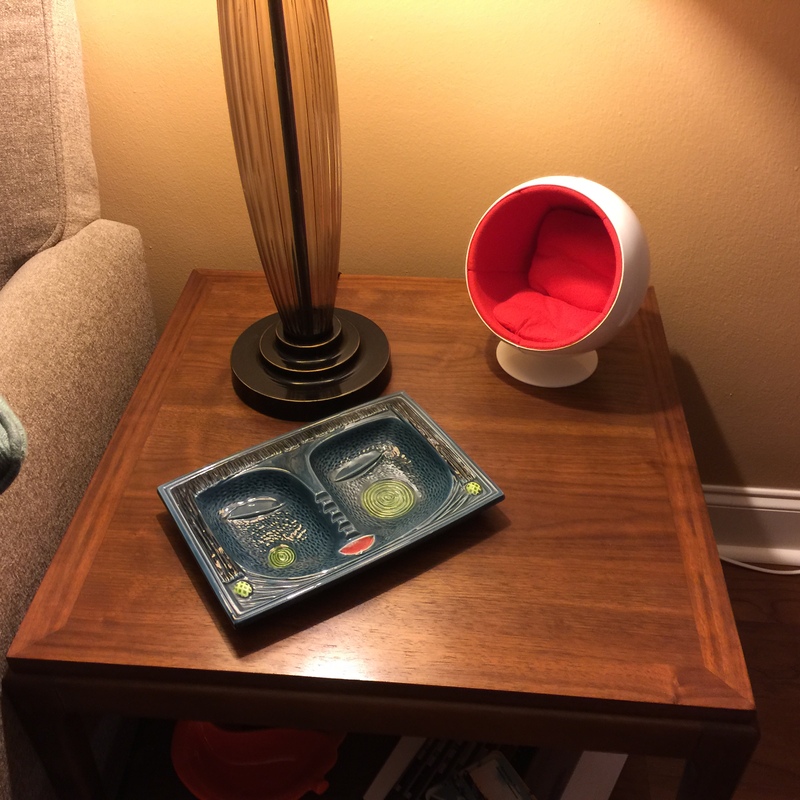 I proudly displayed it in a cabinet in our great room, within easy sight of the real chair. I don’t recall how soon it was after getting that first chair that I started thinking about buying a second chair. And I immediately knew which one it would be. 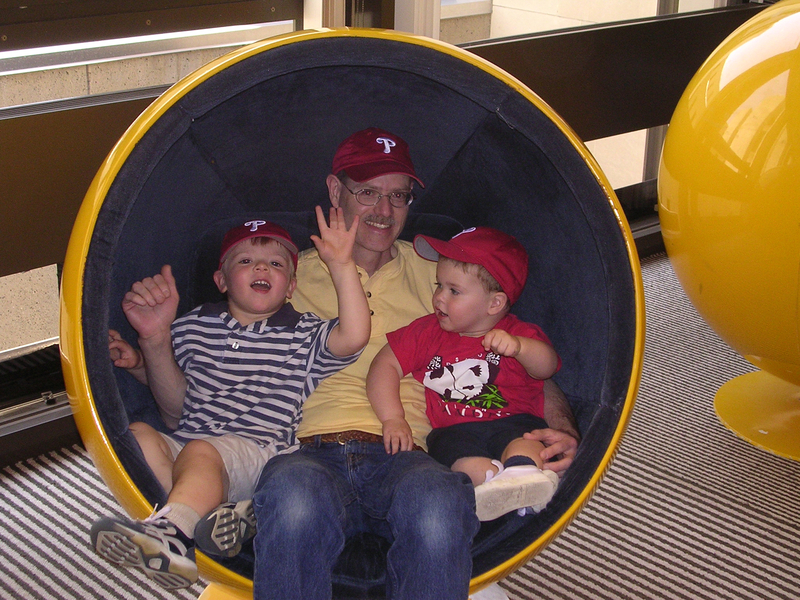 When we visited the library at Oberlin College for my daughter’s graduation, we discovered that that they had these ball chairs for library patrons to lounge in while reading. They were quite comfortable and cocooned the occupant from sound while seated. 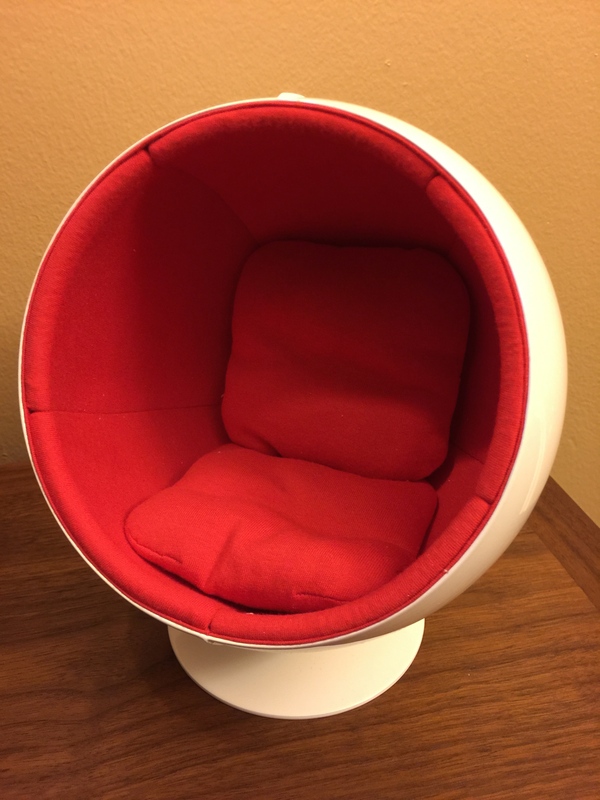 I later learned that these famous chairs were designed by Eero Aarnio, a Finnish furniture designer, in 1963. 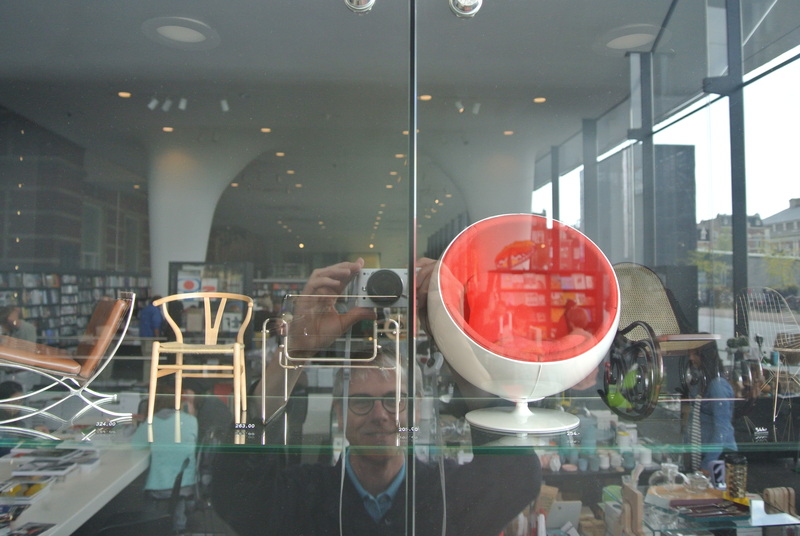 Once the Stedelijk reopened, I discovered that they had a Ball Chair for sale. But with the exchange rate at the time, it would have been over $300 US dollars. I gave it some long hard thought, but in the end, I didn’t make the purchase. The next year I was in Amsterdam, you already know where I went. I made up my mind I was going to buy it and proceeded to get the help of a sales person. Turns, out the display was the only one they had and when they got it down from the locked cabinet, I could tell that the red fabric was quite faded from facing the sun for at least two years. When the salesperson said she couldn’t even find the wooden crate it came in, I said no thanks. On this trip, my wife was with me and I mentioned how close I had come to purchasing it but when I told her the details, she agreed that I had made the right choice. But she recognized I really wanted it and so for my birthday the very next year, the one in which I turned 60, she gave it to me as a complete surprise gift. Rather than joining its companion in our great room, this chair I decided to display at our condo on the vintage end table next to our vintage ashtray. 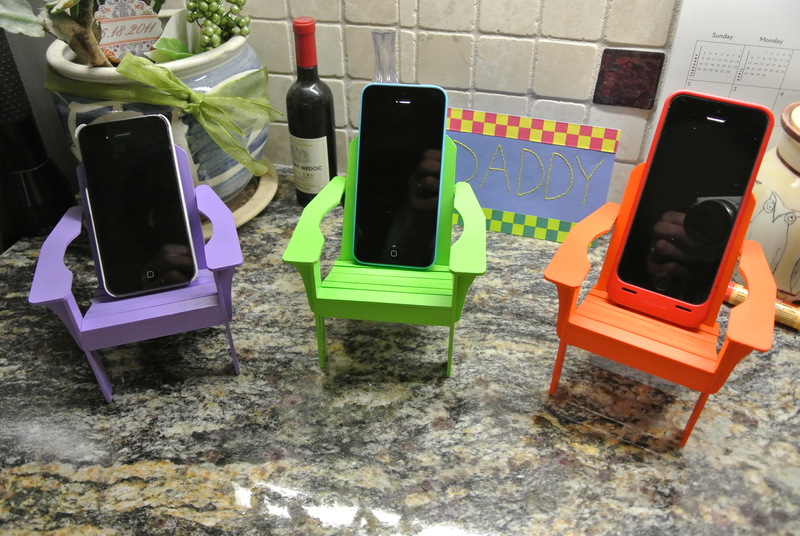 And thanks to a quick suggestion from my son-in-law (no doubt based on my Adirondack phone chairs), it can even serve as a lounge for my wife’s cell phone whenever she is at the condo. So is there a third Vitra chair in my future? Well if there is, I have already picked it out. 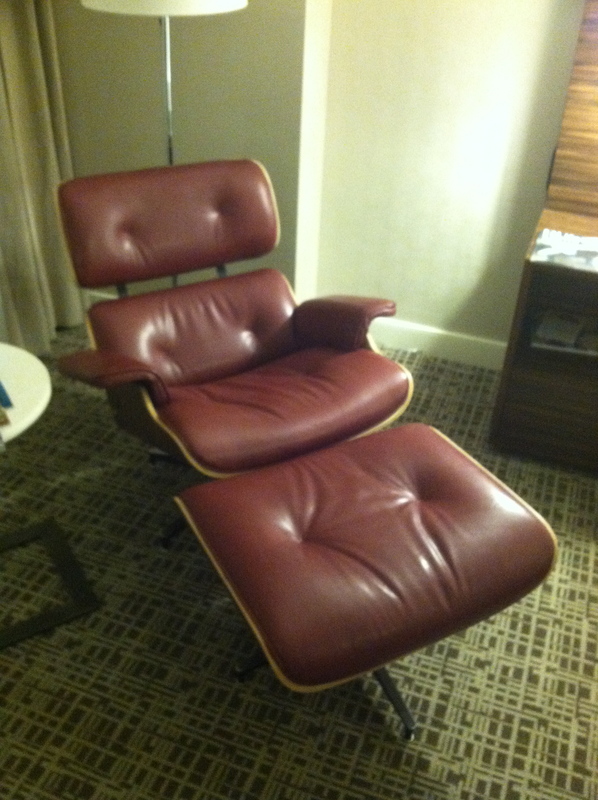 On a trip to Washington, DC not long ago, I found that my hotel room had an Eames Lounge Chair & Ottoman in it. It was my first chance to sit in this type of chair for an extended period of time. I got to read sitting in it each night and found it was most comfortable. When I searched online to explore purchasing one, I discovered that an authentic one cost almost $5,000. I thought well maybe not the real one but possibly a miniature version. 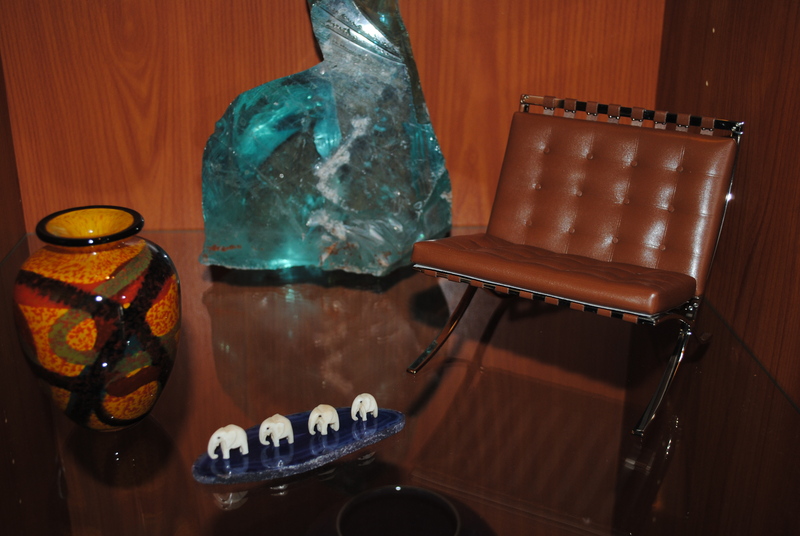 However, I discovered that even the miniature one sold for $795, more than the cost of my first two Vitra chairs combined. Well as I did with my first two chairs, maybe I will just ponder this one for several years before making a purchase decision. In the mean time, it will be the one I search for whenever I am at a modern art museum so that I can at least see what the miniature version looks like in real life, rather than just viewing a photo online. Previous Previous post: 1st Road Trip! Next Next post: I’m Retiring!